With over 25 years of experience, Hammersmith Associates, (formerly Hammersmith Builders), has built a business as a full-service, residential, general contracting and project management company. Now a husband and wife team, we guide you every step of the way, ensuring we understand everything you are looking to achieve with your project. We are pleased to offer a range of superlative services to all of our clients. Our reputation for attention to detail and our transparent communication has allowed us to build trusting relationships with many new and repeat clients. We focus on cultivating relationships with our partners, and our clients, by exceeding the expectations of each and every project, and each and every client. With over twenty five years of experience in the architectural profession, I have completed a full range of projects in both the commercial and residential markets. As a former member of the American Institute of Architects and an accredited professional in “green” building (LEED AP), I can provide guidance throughout your building project. Having this experience, I bring sensible, responsible and innovative design to your project needs. As a sole proprietor, I give my clients personal attention, direct access and shared participation in the design process. Each home has individual characteristics, every site has unusual features and each client has unique goals. Together we create custom architectural solutions that fit within the existing context, craft architectural interiors that speak to the sense of home while designing spaces that serve the inhabitants. My work is not restricted to one style but guided by the surrounding context, programmatic requirements and people’s desires. Working together with both clients and builders to solve the challenges the project may present, including a schedule and working within economic parameters. 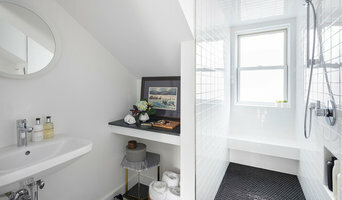 Whether you are planning a renovation, addition or new construction, see how adding my design experience can help you: save money, solve problems, find unique solutions, simplify your life and give clarity to your own design ideas. With more than 100 years of combined experience in the design, engineering and construction industries, Holland Construction have managed hundreds of residential and commercial projects. 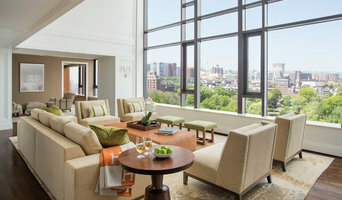 It offers a unique combination of services to buyers by providing historical designs, sound re-engineering and quality construction in highly sought-after and difficult building environments like the Back Bay, South End and Beacon Hill. Holland Construction shares a singular commitment to total excellence. For devotees of fine craftsmanship, its level of quality and adherence to time-honored architectural traditions is unrivaled. Its combined staff of master craftsmen and design and engineering professionals shares the same concern for perfection and authenticity as it has from inception, with the ultimate focus on client satisfaction.